Gregg Allman, a Nashville native who rose to become a member of the Rock ‘n’ Roll Hall of Fame, died at age 69 on Saturday, May 27, at his home near Savannah, GA. As the lead singer of The Allman Brothers Band, he was the voice behind such huge fan favorites as “Whipping Post” (1969), “Dreams,” (1969), “Revival (Love Is Everywhere)” (1971), “Melissa” (1972), “Statesboro Blues” (1971) and “One Way Out” (1972). In addition to singing them, he was the writer of the first four songs. 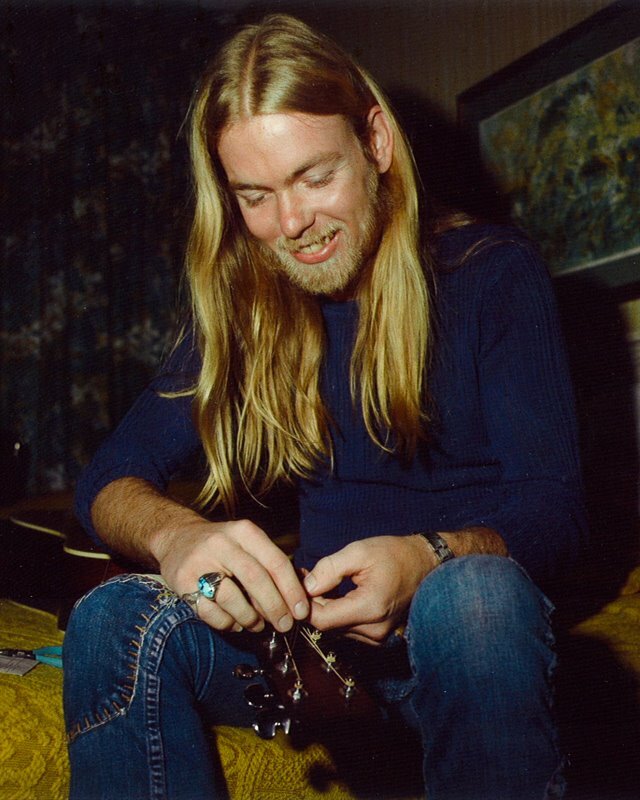 With his tattoos and long blonde hair, Gregg Allman was the visual focus of the band, as well. As a solo artist, he was famed for such performances as “Midnight Rider” (1974), which he also wrote, and “I’m No Angel” (1987). Both as a solo artist and with The Allman Brothers, he was a recurring visitor to Nashville’s recording studios and concert venues. The Allman Brothers were inducted into the Rock ‘n’ Roll Hall of Fame in 1995. The group received a Grammy Lifetime Achievement Award in 2012. It earned seven Gold and four Platinum record awards. Allman earned an additional two Gold albums for his solo work. Gregory LeNoir Allman was born at St. Thomas Hospital in Nashville in 1947, a little more than a year after his brother Duane Allman (1946-1971) was born in the same hospital. Their father died when Gregg was two years old, and the boys were raised by their widowed mother. In his autobiography My Cross to Bear, Gregg Allman recalled spending a great deal of time at his grandmother’s house on 18th Avenue South, near what is now Music Row. That residence no longer stands. But his mother’s house on Scotland Place off Leake Avenue still exists. To further her lot in life, she went back to school to become a CPA and sent her sons to Castle Heights Military Academy in Lebanon, TN when Gregg was eight. Gregg and Duane returned to Music City in 1958. They moved with their mother to Florida when Gregg was 12. Duane developed into an outstanding slide guitarist. Gregg played keyboards and sang. Music took over their lives. Their grades suffered so badly that they were sent back for a second stint at Castle Heights. Deeply influenced by the blues records they heard on Nashville’s WLAC radio, they formed their Allman Joys band. They spent the summer of 1965 in Nashville being mentored by songwriter John D. Loudermilk (1934-2016). In 1966, they returned to Nashville for a residency at a club called The Briar Patch. During their stay, producer Buddy Killen (1932-2006) recorded what became the sole LP by The Allman Joys. It contained several of Gregg Allman’s earliest songwriting efforts. The group became Hour Glass and recorded two LPs in Los Angeles in 1967 and 1968. Gregg remained in California to work on his songwriting while Duane became a session guitarist in Muscle Shoals, AL. In Jacksonville, FL, Duane assembled what became The Allman Brothers Band and urged Gregg to join him there. After the group relocated to Macon, GA, the million-selling albums At Fillmore East (1971) and Eat a Peach (1972) made The Allman Brothers rock superstars. The band pioneered the style known as Southern rock music. This led to the modern jam-band scene and to festivals such as Middle Tennessee’s Bonnaroo. The motorcycle-crash deaths of Duane Allman in 1971 and Barry Oakley in 1972 devastated The Allman Brothers Band. Gregg reconstituted the group, which released its biggest hit LP, Brothers and Sisters, in 1973. The band was nominated for a Grammy in 1979. The Allman Brothers Band recorded its 1981 CD Brothers of the Road in Music City. By then, Gregg Allman had also launched a solo career and become a very public persona via his 1975-79 marriage to Cher. Allman appeared at Volunteer Jam XII, staged by Charlie Daniels at Nashville’s Starwood Amphitheater, in 1986. In 1989, he reconstituted The Allman Brothers Band, incorporating Nashville rock musicians Warren Haynes, Allen Woody (1965-2000) and Johnny Neel. The band won a rock-instrumental Grammy Award in 1996. Gregg Allman was inducted into the Georgia Music Hall of Fame in 2006. In various incarnations, The Allman Brothers persevered until 2014. 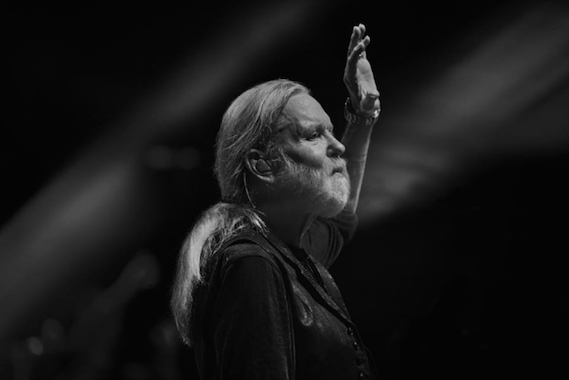 Gregg Allman was diagnosed with liver cancer in 2008 and received a transplant in 2010. In 2011, he released a critically acclaimed comeback solo album, the Grammy-nominated Low Country Blues. But lung surgery and addiction recovery sidelined him while promoting it. He published his autobiography in 2012. It became a New York Times best-seller. In 2015, he was the focus of All My Friends, a tribute album that included performances by Nashvillians Vince Gill, Eric Church, Brantley Gilbert, John Hiatt, Trace Adkins, Martina McBride and Keb Mo. By then, Allman knew that his cancer had returned, but he kept it from the public. Allman’s final Nashville appearance was on the live streamed concert series Skyville Live in December 2015. On that show, he was saluted by Chris Stapleton, Little Big Town and Taj Mahal. His last concert was in October last year. In March, he announced that his touring days were over. Gregg Allman was married and divorced six times. He is survived by wife Shannon and by his five children — Michael Sean, Devon, Elijah Blue, Delilah Island and Layla Brooklyn — as well as by three grandchildren. According to Variety, Allman will be buried in Rose Hill Cemetery in Macon, next to brother Duane and band mate Barry Oakley (1948- 1972). His mother’s ashes will be interred there as well — they have been in his home since her death in 2015. A posthumous Gregg Allman album, Southern Blood, is scheduled for release in September.